Can you believe it? Fall semester is ending and we need to celebrate! 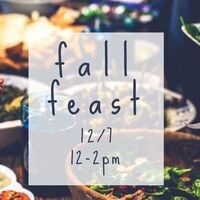 Bring a dish to pass and relax together in a warm, stress-free environment with students and faculty before break.